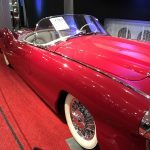 For over forty years, the Barrett Jackson Car Auction in Scottsdale has been one of the top collector car auctions in the world. 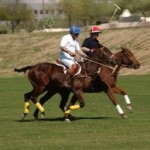 It was founded in Scottsdale and has been held at WestWorld since 1989. 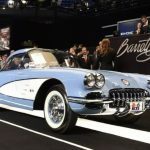 Over the years, more Barrett-Jackson car events have been added around the country but Scottsdale remains the largest. People from around the world gather in Scottsdale to buy, sell and admire classic cars. This year, the event will be running from January 10th to January 18th. Tickets vary in price based on the day you wish to attend. The best value is a ticket for all 9 days for $150. VIP tickets are also available for purchase starting at $2,199 for a 3-day pass. This will give you VIP seating during auctions, a bidder badge, access to the VIP Hospitality Suite with great views of the lineups, a tour of the auction, and more. Last year, more than 300,000 people came to the event and sales were over $113 million. This year, sales are expected to exceed last year’s new record. 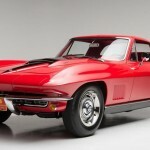 A 1968 Chevrolet Corvette L88 Competition is one of the cars that will be auctioned off this January. 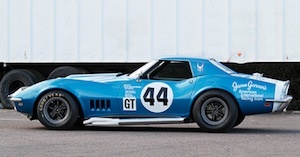 This car was originally made for the 1968 Daytona 24 Hours Race. Another car is the car that started Carroll Shelby’s racing career: the 1949 MG TC Roadster Race Car. A 1932 Ford Custom Roadster will also be at the auction. This car has won awards for various things including best engine. Don’t miss this collector car paradise on January 10th-January 18th. 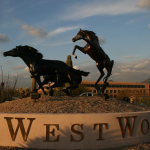 Call me at (602) 791-0536 to schedule an exclusive tour of homes for sale in Scottsdale.